How Does Airwheel Smart Electric Scooter Grow Into A Household Name? Abstract: Founded by a group of science technicians trying to change the world through the high tech, Airwheel at its founding, has established a core research & development team strategically. How does it rise to fame? Since its foundation, Airwheel paid attention on the electric unicycles and now its core products have extended to service robots, intelligent helmets, underwater propeller and surfboard etc. in addition to the portable smart transportation vehicles. With the aim to extend the fun and benefit of cutting-edge technology to everywhere in the world, Airwheel goes from strength to strength and its premium quality and green manufacturing philosophy, which gives priority to environment protection have been well acknowledged around the world. Airwheel mars rover has become a household name. One of most important reason is the high quality of Airwheel electric scooter. All the models use the branded lithium battery featured by multiple protection systems. Other components like the customized tires with special tread have excellent grip performance, allowing Airwheel to conquer various road conditions. The brushless motor takes the magnetic encoder as the sensor, with precise controllability, invariableness turning speed and power saving, greatly reducing friction during running to give riders a smooth and low noise ride. Also, the frame made of magnalium alloy makes it enjoy strong corrosion resistance and realize longer service life. In addition, the born of Airwheel acclimates the trend of environment protection. Along with the increasingly serious environment pollution, the clean and recycle energy is badly needed. 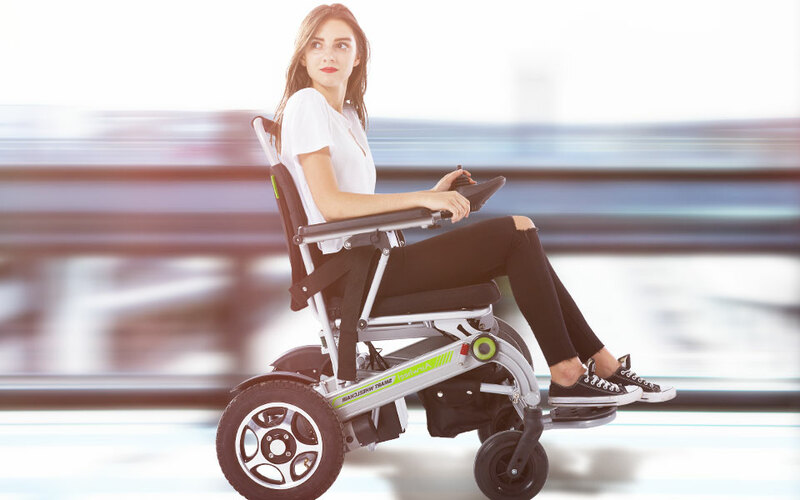 Airwheel motorized by the clean energy-electricity is green and portable, which can be easily carried into the subway, bus, office and school to facilitate daily commuters. It is suitable for various age groups, from teenage to senior citizens. Most importantly, Airwheel is never satisfied with the achievements it has achieved. The positive response from purchasers is incentive for Airwheel to go further by releasing a series of new products. From the first half year of 2017, Airwheel has rolled out several new models—C5, C6, C8 smart motorcycle helmets, R6, R8 hybrid bikes, H3 foldable electric wheelchairs. Without doubt, Airwheel with advantages in capital and experience will continue to provide customers with all-around and interactive service via efficient integration and cooperation.